When I applied for the UELMA grant to attend the AASL National Conference, I first thought, “This sounds awesome, I’d love to go to that!” Immediately after I sent in my application to UELMA, I thought, “What have I done?! What if they actually choose me? !” This response will be understandable to any other introverted librarian who might be reading this, and those who know us. Really though, I was so pleased and extremely excited to be awarded the grant. I have enjoyed the state conferences I’ve attended and to have the opportunity to travel to a national conference felt like an exceptional stroke of luck. 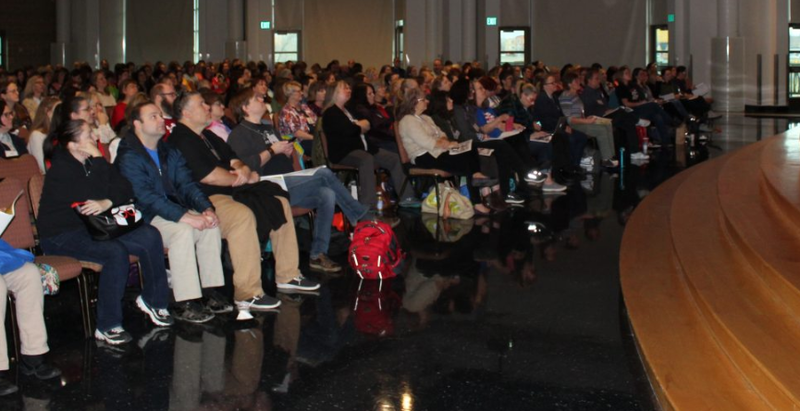 I was able to push that introverted part of myself outside of my comfort zone to meet some gifted librarians at AASL who are creating intelligent and progressive activities in their libraries. It was refreshing to be able to hear the ways in which they were succeeding that were similar to my own successes, the ways they were struggling that gave me perspective on my own situation, and the ways in which I could do more to aspire to do the things that I admired about them. I made goals to attend specific sessions about information research, self-advocacy, and misinformation. There were many different variations on those topics offered (which was awesome! ), so I was able gain some serious professional knowledge, but also have some fun by attending an illustrator panel session. What I didn’t realize before attending the conference was how many authors and illustrators would be there to speak and sign books, and how many vender booths gave books away. I packed very light and ended up shipping a fairly small box of books home, but there were other librarians in the UPS line that had gigantic boxes of books to send back to themselves for when they returned. 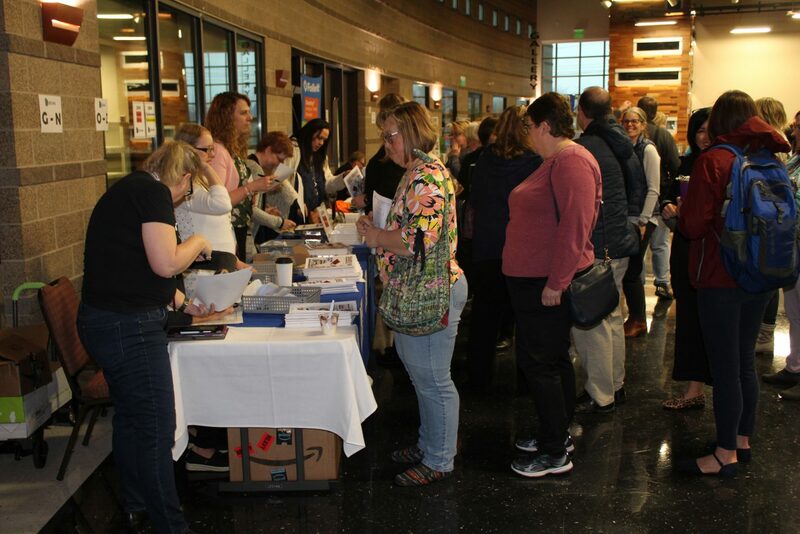 The energy that came with all of the librarians getting to listen to and meet their very own “rock stars” made the whole event very special. And who doesn’t love a few (or a ton) of free books? I had a wonderful experience while at AASL and I learned so much from the sessions I attended. I’m glad that I quieted that nervous voice within myself, to first apply for the grant and then approach the whole conference process with a strong focus, but a relaxed attitude.